Susan Noble from the UK Data Service international data team discusses how we’ve made the Human Rights Atlas data we host even more accessible, by making it available for analysis in UKDS.Stat, the data dissemination platform for international data at the UK Data Service. 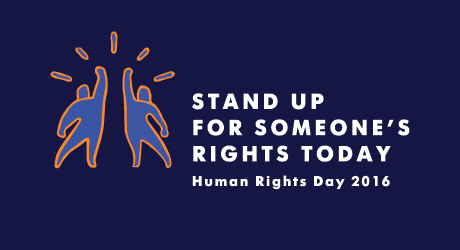 Each year the global human rights community celebrates #HumanRightsDay and for the recent Human Rigths Day on 10 December 2016, the UN Human Rights Office launched the global campaign ‘Stand up for someone’s rights today’. We decided one of the best ways we could show support for #HumanRightsDay was to make the Human Rights Atlas data we host even more accessible, by making it available in UKDS.Stat, the data dissemination platform for international data at the UK Data Service. 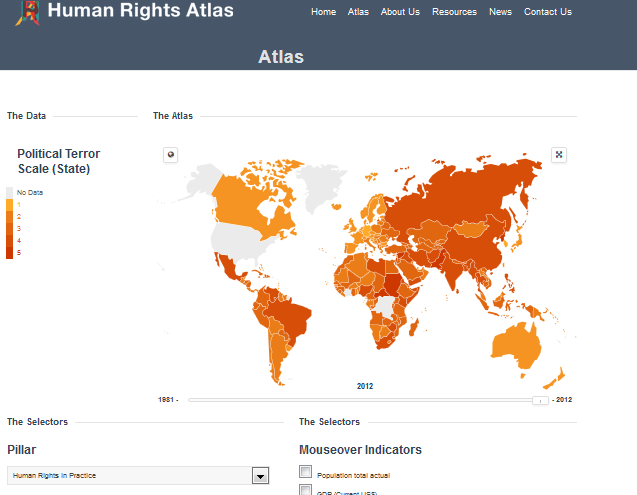 The ‘Human Rights Atlas 2012 dataset’ was originally created by the Institute for Democracy and Conflict Resolution (IDCR) at the University of Essex and Mackman, for the ESRC-funded Human Rights Atlas Project; the main objective of this work was to produce a visually pleasing, interactive interface for the dissemination of global human rights data. The project team used published data from the World Bank, the United Nations, academics, non-governmental organisations and the other bodies to generate a dataset which includes more than 240 different measures of economic, social, political, and legal life for over 200 different countries across the world and gives a picture of the lives and rights of human beings over a 30-year period from 1981 onwards. 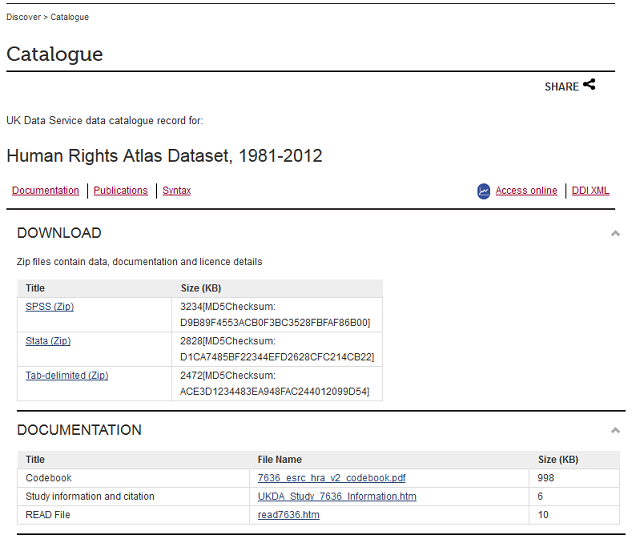 The Human Rights Atlas data was archived and made available at the UK Data Service back in March 2015 via the Services Discover Catalogue – zip files (tab-delimited, Stata or SPSS format) could be downloaded. Now, by making the data available via UKDS.Stat, users can explore, visualise and subset the data prior to exporting it, so they no longer need to download entire zipped up datasets – they can select only the data they want to work with. We’ve also increased the number formats the data is available in – as via UKDS.Stat data can be extracted in Excel, PC-Axis, SDMX(XML), CSV formats and may also be accessed via a Developer RESTful API (Application programming interface). The majority of the international macrodata datasets, (OECD, IMF, World Bank, UNESCO and now the Human Rights Atlas data too! 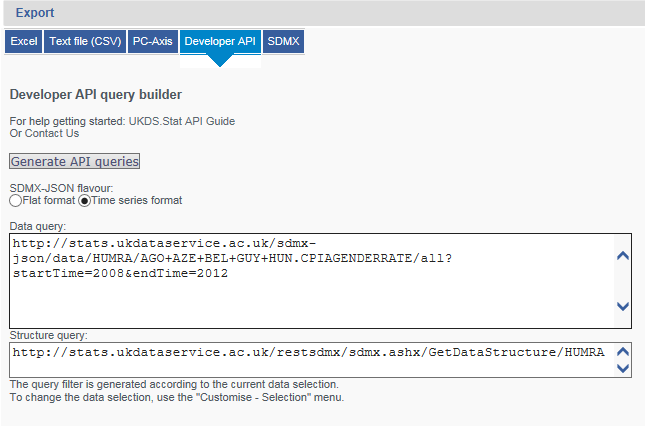 ), are available in UKDS.Stat through a RESTful API based on the SDMX-JSON standard. The SDMX-JSON protocol has been developed by the OECD and other international organisations as a new format of statistical data for use in internet-based electronic communications with users and third parties; a key aim is to provide web developers easy access to statistical databases using common formats they may already be familiar with, so they should be able to easily call the API using a simple RESTful URL. In order to use the API within UKDS.Stat we advise users to select their data as normal (via ‘Customise > Selection’ drop down lists), then choose ‘Export > Developer API’ option and click on ‘Generate API queries’. Users can then cut and paste the data query string generated (in this case data from the Human Rights Atlas data – http://stats.ukdataservice.ac.uk/sdmx-json/data/HUMRA/AGO+AZE+BEL+GUY+HUN.CPIAGENDERRATE/all?startTime=2008&endTime=2012) into their own applications. The query is in the format – http://stats.ukdataservice.ac.uk/SDMX-JSON/data/<dataset identifier>/<filter expression>/<agency name>[ ?<additional parameters>. For more information on how to access the data via API, please take a look at our UKDS.Stat guides. All the data are openly available to any user for any purpose under the Creative Commons Attribution 4.0 International Licence (CC BY 4.0), and if you do use the data, particularly via the API access route, please do let us know as we’d love to see what’s being done with it!